Today I started working with Hull Harp, an organisation set up to help the homeless people of Kingston Upon Hull. As a former homeless person myself it means more than anyone could imagine to be doing my bit to help as many people who live on the streets as I possibly can. My experience of this sort of work started a few weeks ago when I went through my initial training at the former night shelter called Dock House on St. Peter Street, now, having got my clean DBS and my references through, I was starting work there. 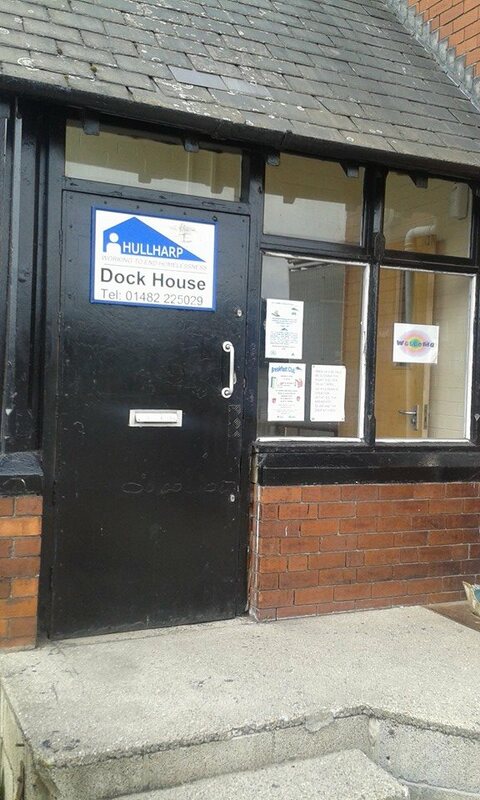 As I walked up the street to Dock House there were a few clients waiting outside who had come for the breakfast club that I was volunteering at this morning. I had an overwhelming feeling of doing something positive to help these people who are in the same position I was just over five years ago. It felt good to be doing something positive to help them, but at the same time it felt very sad and emotional. This is 21st century Britain and NOBODY should have to sleep rough or rely on others for basic provisions. Since David Cameron and the Conservative party came to power in 2010 the official number of people who are homeless has doubled and the DWP which is run by Iain Duncan-Smith hasn’t exactly helped when making punitive sanctions on people’s benefits which has seen many forced out of their homes onto the streets with nowhere else to go. I was working with Ash and Dave in the kitchen today, handing out bowls of cereal’s, toast and cups of tea or coffee to the few people who came in. There is also some clothing, particularly socks, handed out to people who need them and once a week they can bring their dirty laundry in to be washed. The Tory government has literally laid waste to the people who rely on benefits like a gigantic tsunami trashing everything and everyone who gets in its way, and they show no signs of stopping, for instance by making up stories about fictional people appearing to welcome the sanctions on their benefits. A few months ago Dock House was closed as a night shelter and is now just open for the breakfast club 9-10 Monday to Friday, the Tuesday chill-out club is there 10.30 to 2.00 and that’s about it at the moment. This vital service needs to be re-opened as a night shelter as soon as possible, it isn’t just a place where the homeless can go for a bite to eat, it needs to have vulnerable people in there so we have time to assess them and get them the help they need to get off the streets for good. With each person we served I felt guilty for having a home to go to at the end of it, knowing they have nowhere to go but back on the streets. Ash is a definite experience to work with as he used to be a resident there and now he is also back there helping out, he’s also quite cheerful especially when joking about having to show me how to use the toaster and studying the first cup of coffee I made for a client. Dave is very much the Mr Dependable I think, he seems to know everything about everything in there and is only too happy to be giving his time. Michele is a delight to work with when you actually see her, she was in and out a few times today nipping between Dock House and the Aspire project which is another part of Hull Harp. It’s a very happy and amusing team in Hull Harp and we all have one thing in common, we just want to help as much as we possibly can in any way we can, I’m back at Dock House tomorrow for the breakfast club and the Tuesday chill-out so there will be another update then.